Speaker Rendon said the bill was on hold “indefinitely” in his original statement on stalling the bill. This means there are no guarantees that he will move SB 562 forward in 2018 and our work to continue to push the Speaker and all Assemblymembers Continues to be critical. The Assembly Select Committee on “universal coverage” is not able to amend or vote on SB 562. Details on the Select Committee hearings have not been made public yet, as soon as they are we will share them. For folks wondering who is on the Select Committee, here is the link. The statement we released after Rendon Announced the Select Committee is attached here again. Mark your calendar for October 14 and 15th for SB 562 days of action throughout the state with canvasses and more. 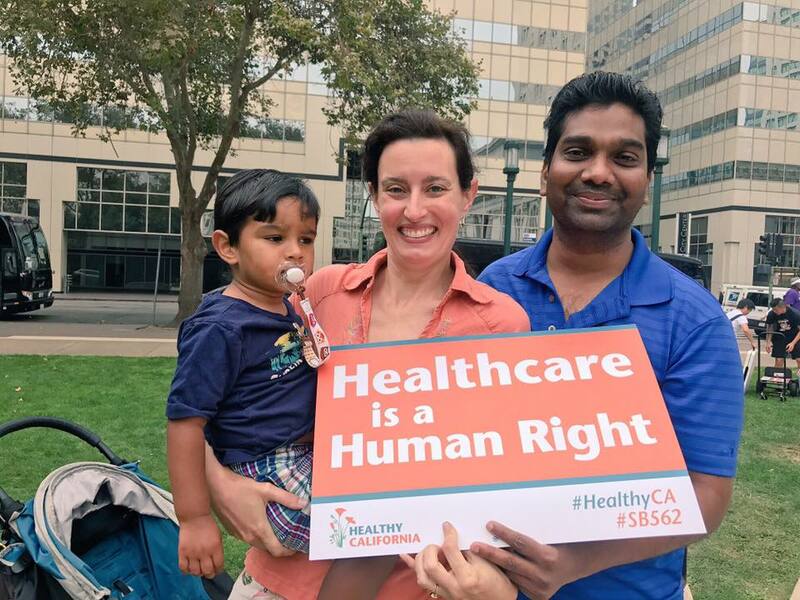 Can you sign up to host a Medicare-for-all canvass in your community? Click here to signup and the campaign will give you everything you need. A Medicare for All March and Rally in Los Angeles on October 1st is being planned by local partners and activists, please spread the word.